Submod for "Divide and Conquer". Super-Fast Campaign. Balanced and improved for multiplayer. Join our discord and play some games with us! Change the battle system, projectile accuracy, angles and other factors. Make general bodyguards (cost 100) units that you can rely on and use in battle. Make campaign playable in multiplayer with as less lagg as possible. Change the prices and upkeep of units, so that economy can grow steady. If you already have DaC, just apply the patch that you find bellow. And so it begins. A new adventure. The troops are marching, the generals are issuing orders and most important of all, new bonds are made and broken. Welcome to the world of fantasy, where elves, dwarves and men fight, sometimes in unusual alliance, for survival, glory, power. Playing Heroes of Battle, you will grow fast, as the battle system allows you to make mistakes. Growing, you will soon become a pro, leading your armies to victory battle after battle. In singleplayer, you will enjoy the work of the DaC team, defending against the evil forces or attacking the good factions in order to rule them all. Battle system is slow, with general bodyguards being extremely powerful. It is fun and tactical. Will be waiting for you, on the field of battle. does this mod add multiplayer campaign? "Make campaign playable in multiplayer with as less lagg as possible." Is hotseat campain playable ? Yes and very fast. But less detailed compared to DaC. Depends who you are fighting. 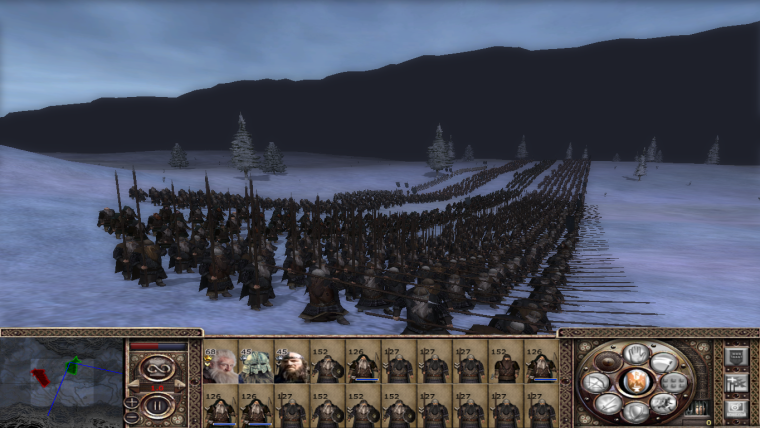 Isengard, for example has a lot of front armor. So you need to flank/shoot in the back the enemy soldiers to beat them. By the way, do not use archers against armored cavalry because they cannot kill it. Tho hero archers that have AP have a good chance against it. Also, join discord if you want to play in multiplayer, roleplay (no lewd, no gore) or to just make more friends. do i need to medieval total war 2 to play this? Ok im tracking this and see where this is going. Great mod, only held back by the mod it is based on, DaC. But aside from that it creates a great campaign despite its few bugs and is extremely fun.